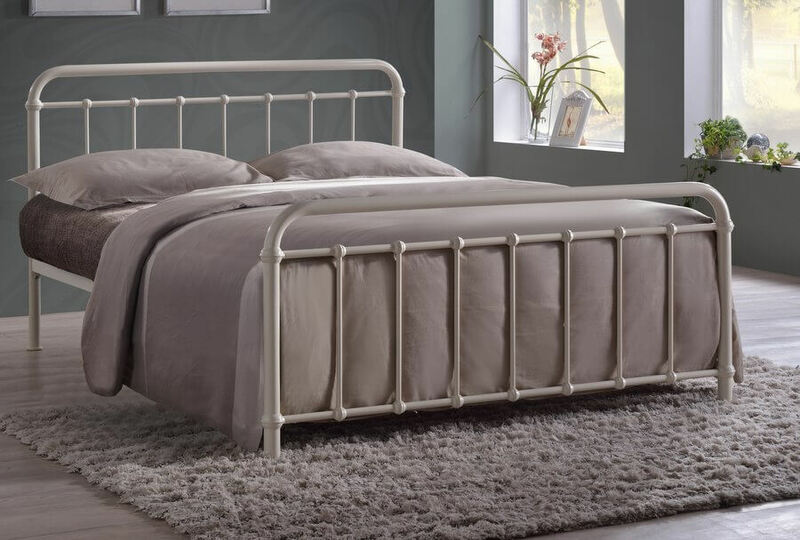 Simple yet elegant metal bed frame with a traditional hospital bed inspired design. 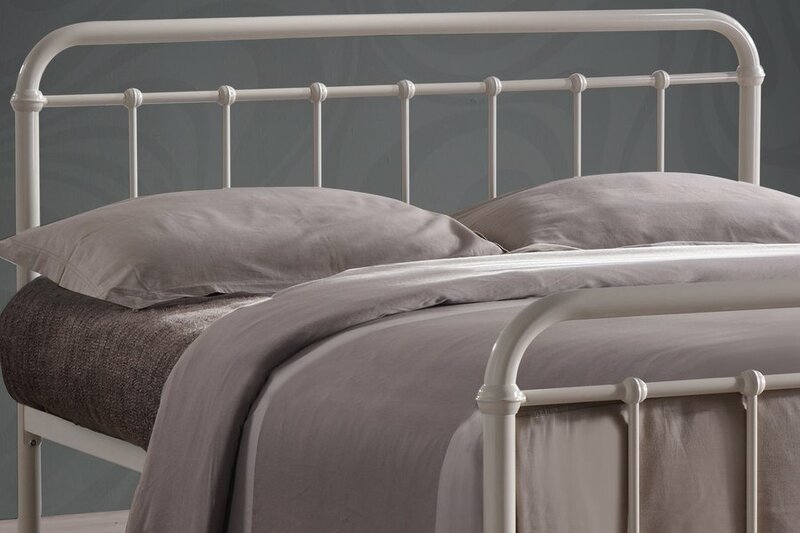 The sprung slatted base of the Miami bed provides extra comfort as you sleep. The under bed clearance/storage space is 31 cm. 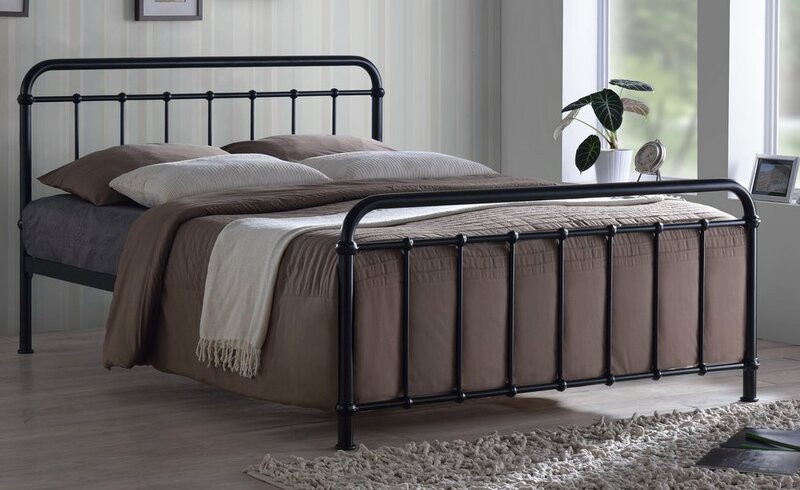 The overall dimensions of the Miami king-size bed frame are: H94 L210 W154 cm. Floor to mattress base: 32 cm.